With the scheduled — and now postponed — executions of Kelly Gissendaner and Brian Keith Terrell in the headlines this Lenten season, I can’t help but wonder how many of the people who support state-sponsored killing are participating in the ages-old Christian ritual of “giving up something for Lent” that amounts to forgoing sweets, or fast food, or caramel-flavored lattes. I wonder this because that Lenten practice, while well-intentioned, is supposed to feel like a sacrifice. It’s supposed to be part of a time when we renew our focus on God. So the irony of the state executing people during Lent doesn’t escape me; in fact, it haunts me. It haunts me because the end of Lent is Easter, which includes Good Friday, a solemn observance of the day Jesus made the ultimate sacrifice — indeed, at the hands of the state — in order to wash away our sins. One way of looking at Calvary is that in its own way, it should have been the last state-sponsored execution. Ever. So every time we allow the state to execute someone in our names, we make a mockery of that. We set aside the Good News for the Old Testament of laws that Jesus told us he came to fulfill. And then he gave us a new command: Love one another. But that new command doesn’t mean much if we can’t apply it in the most trying circumstances. Not executing a convicted killer is just such a circumstance. We should try it sometime, and there’s no better time than Lent. Founding and Senior Pastor of Gentle Spirit Christian Church, Rev. 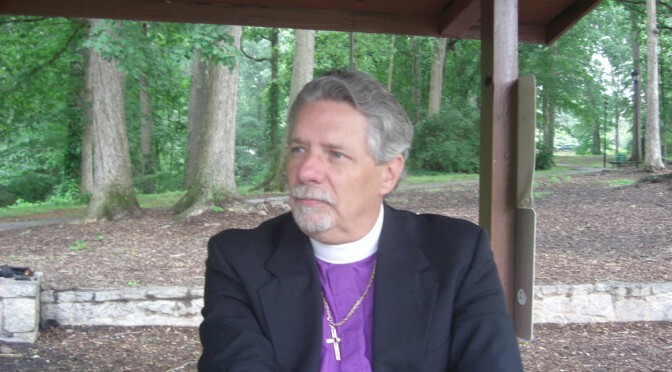 Paul M. Turner grew up in suburban Chicago and was ordained by the Universal Fellowship of Metropolitan Community Churches in 1989. He and his husband Bill have lived in metro Atlanta since 1994. 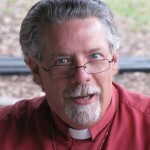 He is the editor of the Seeds of Hope blog whose posts from 1999-2005 are at http://whosoever.org/seeds/ -- and which now resides at http://gentlespirit.org/topics/blog/seeds-of-hope/.